How about a new sub forum in "People"? So you're looking for a new home, where someone else takes responsibility for admin and moderation. Yes? I enjoy being able to discuss non-SL related things from time to time. It can be a community building thing, as Syo mentioned earlier: people get to know more about each other than they might otherwise. In addition it's often a source of shared fun: the various 'game' threads that are alive in this section are by no means "SL Only" for example, and look how much fun a bunch of us had talking about Jason Momoa in a couple of other threads. On the other hand I see no reason whatever to deliberately bring outside (meaning outside SL) politics into any section of these forums. There's already a well known place to do that. We all probably make casual politics-related comments from time to time and that's fine. I see no need to make it the purpose of a thread. look how much fun a bunch of us had talking about Jason Momoa in a couple of other threads. I'm sorry then. I thought I might be able to offer a useful suggestion. Clearly this was a mistake. It won't happen again. Good luck finding whatever it is you're after. Since no one is interested in setting up an area where posters can get to know other posters better before taking the plunge inworld (which is difficult for some to do) I'm just going to bow out. For the last nine years, I've found the forums to be a reasonably good place to get to know people, including enjoyable you. There are some who stay away because they find this place too confining, so I won't get to know them at all. There are some who would be no more vocal if all the rules came down, so I won't get to know them well no matter what. And then there are the rest, who I get to know sometimes by how well they navigate the constraints. Introducing contentious topics like politics and religion into virtually any thread (even a religion or politics thread) is an invitation for ARs. With every incarnation of the forums, we've had to lobby for inclusion of a General Discussion sub-forum and I'm both grateful and a little surprised we've always succeeded. I can't imagine what advantage LL would get from increasing the amount of human supervision required by creating sub-forums that encourage contentious debate, particularly if they discourage discussion of SL. I'm wasn't after anything other than making a suggestion. My list didn't include politics or religion for good reason. If people don't want to talk about things that help them to get to know others better like what books they are reading/have read, or their favorite tv shows and movies, or countless other things, that's on them, not me. Frankly, I don't see how discussing Dragonriders of Pern would discourage discussion of SL. 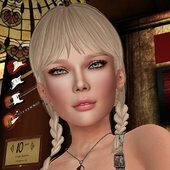 For the woman closing her SL store for Sabbath reasons RL & SL are not separate, so there could be no discussion of her issues without mention of RL issues. Right, so that thread would not have been appropriate for the proposed "anything but SL" forum. Oh, well I was more going with Selene's revised idea, which was for additional threads not necessarily about SL, but not excluding SL. I'm not entirely convinced by the idea, but I'm not really opposed to it either. I just don't see what the point of it, really. Besides, you're already in a browser - there's millions of forums for various RL topics across the Internet. There's also a bunch of communities within SL that have their own Discords and websites (some with their own forums), and making a forum is really easy... So... I don't know. Give some examples of what would be put in such a board? Other sections can be added if needed. It would be a means of getting to know other residents for those looking for friends. Imagine that. Getting to know other people by their own words. Funny how that works in both RL and SL. I am not answering to these three separately, they all just grabbed me on the way through the pages because they all tapped into the area. There are so many reasons for this to exist, and the main is the people of Second Life often have very different RLs than just any other user on the internet, and spreading themselves across many different forums can be hard. The other week someone asked about Netflix suggestions and it almost got shut down by someone believing it was not appropriate, where as many others were all in because they netflix and other streaming sites a lot, so they were full of useful insight into shows that they could recommend. I personally would love to chatter about things like that with other SL residents, because there are going to be similarities in taste, and also in the past you used to see a lot of shows as inspiration for releases in world, and it would just be fun to suddenly start squeeling in a post about some random show that some random store just made some random item that could mean everyone could live/wear that thing. That is very basic but still fun. The main examples I have though are things like Wheelies, a group that was a big part of SL culture years back that had members that used wheelchairs in SL because they also did in RL and not only did they have a clubhouse kind of thing, but poseballs for chairs for dancing and meetings to help eachother get through those times that others may not understand, it was an amazing group and I found it because of a YouTube video I came across about a lady with MS that was a Second Lifer etc, we even held a huge fundraiser for them, and it was just community strong. I also had two friends, completely separate individuals, that i got closer to over years and eventually found out that both had children with Aspergers. One had a teenager, the other a 4 year old, the 4 year old Mother was having such a hard time with finding the right things needed for her child in terms of support in her area, red tape and other atrocities, the other Mother, was able to say OMG no, do this and this and this and then contact this but tell them this and in a 10 minute chat that I conferenced them into one changed the others life in such an instant and impact way. She got it, she knew the struggle she had been there, it is one of the best things I have ever witnessed in Second Life and it was Second Life that made it possible. We do Fundraisers, Charity stuff all the time as a community, we support and encourage daily in all sorts of ways. So many are shy, so many have no way to reach out to others, and the forums as they stand are helpful in many ways, but to sit down and mention your love of a book with others, your passion for music ( i found a music post the other day here and I played every song for four pages, and found so many artists I would never know because of other residents). Tech support for those that have beasts or toasters running their second life is also a great thing, so many in SL are geniuses in that area, and many more just have no idea on drivers and memory and what not, that maybe asking there for advice instead of other areas about clothing not attaching or textures looking like tie dye from the 60's could actually be more helpful. Food is so cultural, and what better food is there than the food you can eat while typing and balancing a laptop or just those holidays where everyone is struggling with a turkey and so on. Create a little somewhere in SL called 'The Knitting Circle' where you can invite other SL residents to talk about how boring their lives are. Please, not here within the SL forum. It doesn't belong. I think the suggestions show the opposite of boring lives, seems they have other interests with like minded people. Limiting to a sim avatar limit and timezone vs forum seems unhelpful on catching up, looking back at advice given etc. I understand keeping things SL only if it has to be, but the idea of it being more community rich is a good one. That's all I was trying to do too, that and figure out a bit more of where you were coming from with yours. My apologies for being so bold. Perhaps the emotion I thought I was hearing from you was related to something else. As I can't seem to phrase anything right for you, I'll leave it to you to initiate any further conversation between us on this or other subjects. Good wishes. I think people will agree that the most active, interesting topics are ones that digress from whatever the OP was talking about. Want to discuss broader topics than the Linden Lab run forums allow for? Make your own Forum or go to one that already exists - there are a few. If there were one and the mods have been explicitly told they can not close threads in that section for going off topic, only if things get out of hand, it would not only give us some breathing room, it would make the mods jobs easier.﻿ And those that get a thrill from reporting off topic won't be able to get threads shut down just because they don't like the topic or person. The mods job is easy enough as it is. The problem is that they don't always do it properly, sometimes not even trying to do it properly, and that's the fault of those who don't do it properly. Some of them do it with personal bias/preference, regardless of any rules or guidelines. I'm sure that it sometimes has a lot to do with which side of the bed they got out of on the day. It's no wonder that different people have different ideas about what gets penalised. The mods don't need it made any easier. What they do need is to be instructed to only moderate according to actual forum rules and guidelines (and, probably in some cases, to actually learn the forum rules and guidelines). Of course, the mods get flack, whether written or thought, and confusion reigns, because they steadfastly refuse to tell a person why s/he has been penalised, and, when it's not obvious, as is often the case, the victim sometimes has no idea why they have been penalised, with the result that they cannot learn from history, and are, therefore, condemned to do it again. Stupidity reigns. That's not surprising, as you have been a victim of what might well have been a bad hair day. I think if you build a place for toxic things ,they will come.. I picture a place like that filled with a bunch of current events and politics and arguing between left and right and every kind of special interest group supporter that there is nowadays.. It will just be another place where people can come and dump the trash that many wish to escape..I doubt LL would want to have to be locking threads all the time.. It's much better controlled when they can shut it down in here when it gets out of hand..I think it's just asking for trouble for a section like that.. I just don't think it would end well and end up like any other forum with a section like that. That's just my 2 bits on it.. The difference here would be you are tied to your avatar, some people might get firey over the ending to Independance Day (why the President didn't take the kids in after their Dad sacrificed himself to save the world still makes me furious) but if it was a Movie thread, I promise to behave. Anyone can go somewhere else, they already do, Facebook, Plurk, new SLU and the old, slreddit there are a few more places...but this is SL forums, and SL Residents want to share more, seek help, offer advice on things. Some comments are keep RL separate, but so many SL relationships develop by knowing more and in a very safe way this is the better option. In those other places many have seen huge attacks on individuals, horrible treatment...it would not be tolerated here, more to lose than just being unfollowed by a few people you didn't know anyway. Groups in SL used to be a lot more prone to big chats, not so much now. Stuff gets lost, does not show to all etc. If there was a book thread, movie tv show thread, even if years old (often see people responding to old stuff here) if it brought joy to someone, if it made people engage and say hi to someone familiar in world... it is all win, those that don't want it, just don't need to use it. What about...... a lunchtime gathering........ ^^? 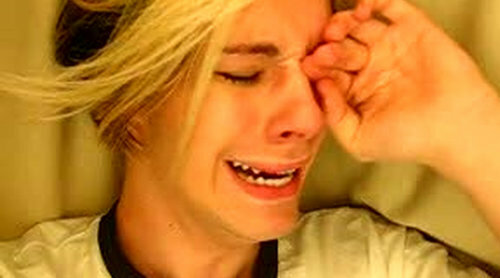 (evil evil >EVIL< laugh) Leave the forums ALONE! We've seen it all in here. I couldn't disagree more, but then we hardly ever agree on anything. Personally, I believe the mods have a difficult job, and in spite of that they do a terrific job of moderating these forums. They show restraint and often give us more latitude than we deserve trying to let us have the freedom to express our opinions and thoughts. The forums are a relatively safe place for us because of the Mods. I commend them. And some dish out penalties when, by the rules and guidelines, none are merited. If you haven't come across it, good for you, but it's absolutely true. That's what my post was about. It wasn't about when everything is working fine. ETA: Also, if you haven't been penalised, then you won't know from your own experience that they will not tell you what they say you've done wrong. They just won't. As I said, stupidity reigns. Tell me something I haven't known for 14 years. You know what? I'm sorry I said anything. I'm sorry I wanted to improve things on the forum for everyone. I'm sorry I wanted to help. It won't ever happen again. What I hate the most is when several people disagree with you, and you reply to them all, and you get a ban for "trolling" ie posting a contrary opinion. That's why I back out of arguments early now, because some people will continue replying to see if they can push you just far enough over the edge to report you. I think it was Callum that posted a picture of a stuffed bunny climbing into a pot on the stove.